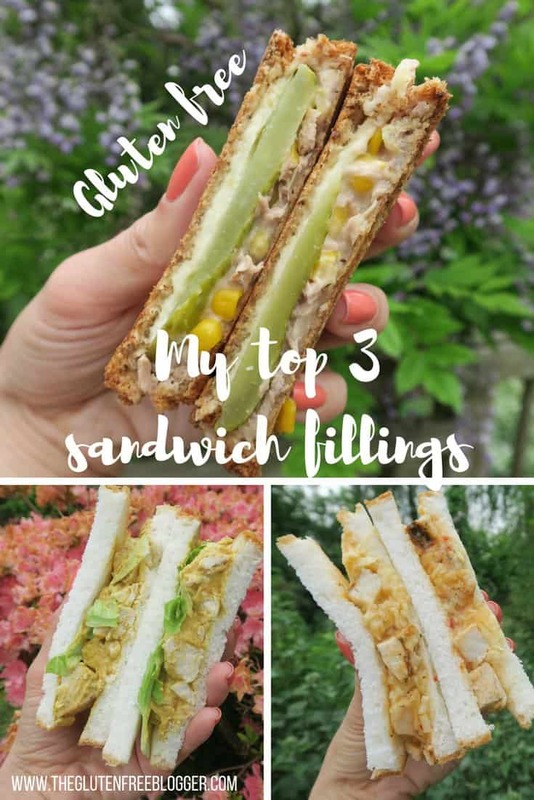 My three gluten free sandwich fillings you HAVE to try! It’s British Sandwich Week this week, and let me tell you, a decent gluten free sandwich is often hard to come by! But find the right gluten free bread and you can create a thing of beauty. 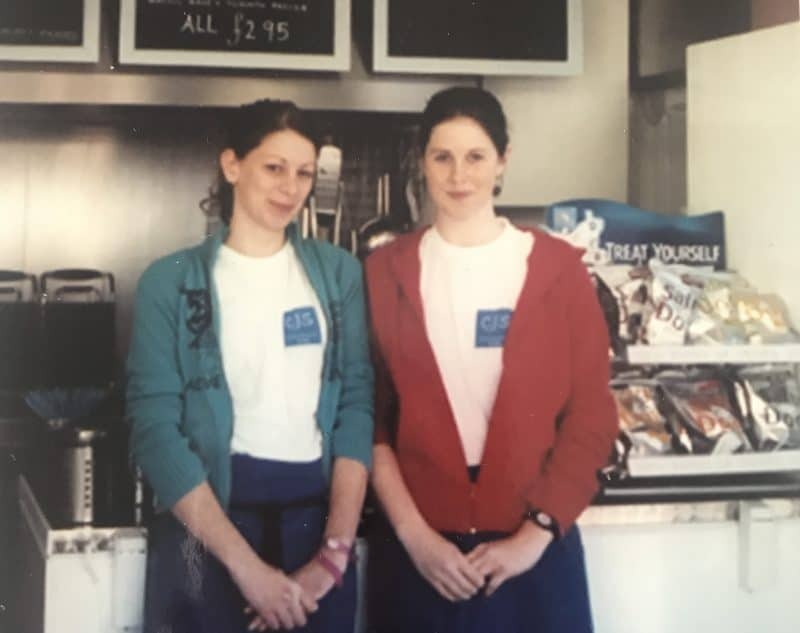 In honour of this week, I thought I’d pay homage to my first ever job working in a sandwich shop with my best friend Lauren. Cue embarrassing photo…. I have many fond memories of my time at CJ’s and I think some of the most popular orders of regular customers will stay in my mind forever. 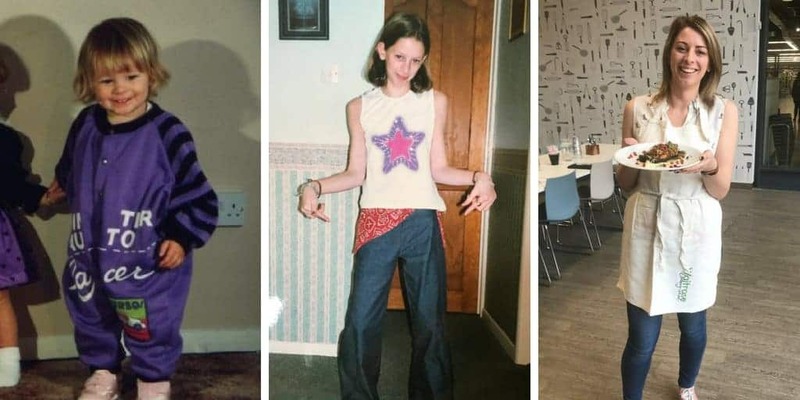 To celebrate British Sandwich Week, I’ve teamed up with Juvela to recreate three of my favourite gluten free sandwich fillings from my teenage Saturday job. Scroll down for all three recipes! Juvela’s gluten free bread really is great for sandwiches. Unlike other brands, I never find holes in their loaves and the bread is soft and tasty. I actually enjoy eating Juvela gluten free bread without toasting it, which says a lot! 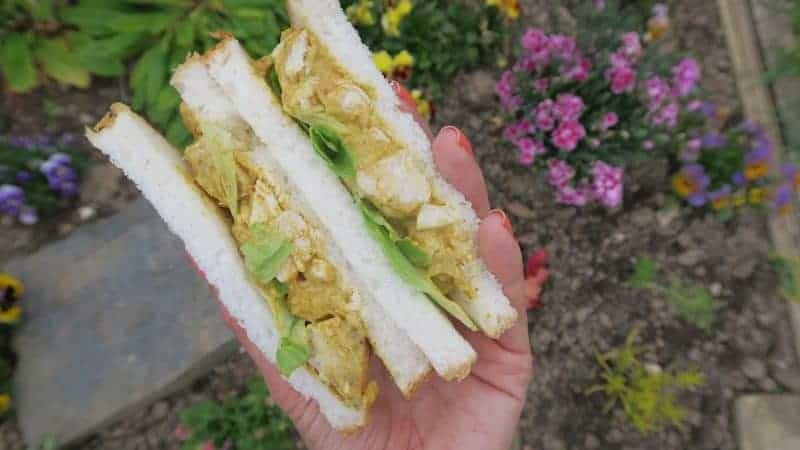 The first gluten free sandwich I wanted to recreate was a gluten free coronation chicken sandwich. This vibrant, mildly spicy dish is a combination of cooked chicken with a mayonnaise-based curry sauce. I like to add flaked almonds and diced apricot for a special twist. When I worked at CJ’s I never liked fruit in savoury dishes but now I am a huge fan! The second gluten free sandwich was an absolute CJ’s classic – and one my friends always asked for. Gluten free chicken tikka, cheese and sweet chilli sauce is exactly what it says on the tin! Heated up, it’s hot, sweet and spicy. Nothing quite beats biting into a sandwich and melting mozzarella oozing out either! My final gluten free sandwich is a classic, a gluten free tuna melt. This was always one of the most popular paninis and I must have made hundreds of these in my time working there! Tuna mayo and mozzarella, grilled between two slices of Juvela fibre loaf, is simply delicious. I added a twist with some spiced gherkins in mine after trying this at a cafe once and falling in love! You can pick up the Juvela sliced breads in Tesco, in both a fibre and white variety, as well as their rolls which are equally delicious. They have also recently launched part-baked gluten free rolls and longlife loaves into Morrisons too! 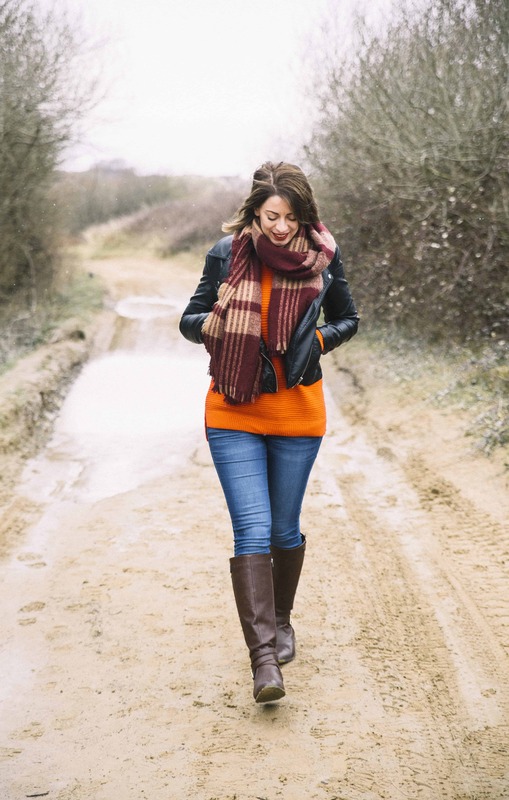 I remember Juvela was one of the first gluten free brands I ever tried when I was diagnosed with coeliac disease, so they have been with me right through my journey with coeliac disease, over 15 years ago! If you live in an area where prescriptions haven’t been cut, you can also get their gluten free bread on prescription if you’re a diagnosed coeliac. Spicy, creamy, and with the crunch of flaked almonds and tang of apricot chunks, this sandwich really is a classic. Who doesn’t love coronation chicken? I whipped up this super quick gluten free coronation chicken recipe and paired it with crunchy iceberg. Cooked chicken in a rich and creamy mild curry sauce, with apricot pieces and flaked almonds. I paired mine with iceberg lettuce and gluten free Juvela bread. Add the mayonnaise, turmeric and curry powder to a bowl and mix well until fully combined. Add the chopped chicken, apricot pieces and flaked almonds to the mayonnaise mixture and mix well. 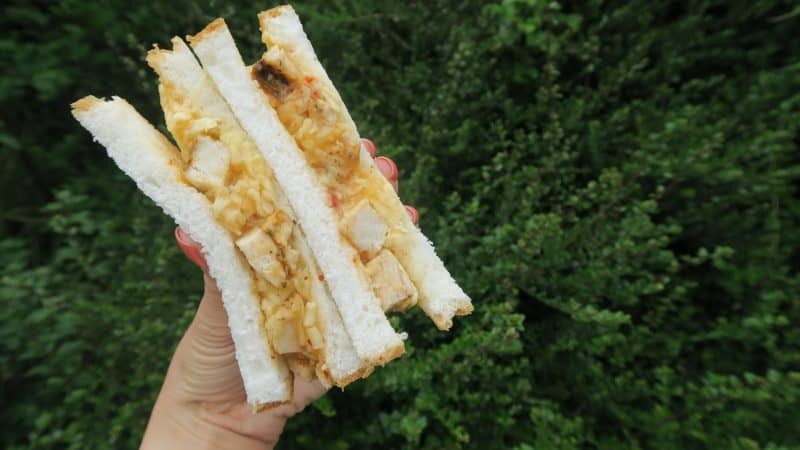 Serve in gluten free bread to make a delicious coronation chicken sandwich. Perfect paired with iceberg lettuce. This gluten free sandwich was a CJ’s classic! I prefer it with white bread and it’s great when you’ve got five minutes and a microwave to spare. Sweet, spicy and oozing melted mozzarella, this gluten free sandwich is an absolute classic. Add the chicken tikka pieces, mozzarella cheese and sweet chilli sauce to a bowl and mix. Cover with clingfilm (leave a little gap for the steam to escape) and microwave on full power for 1-2 minutes until hot through. Pour the mixture onto white bread, sandwich together and enjoy! 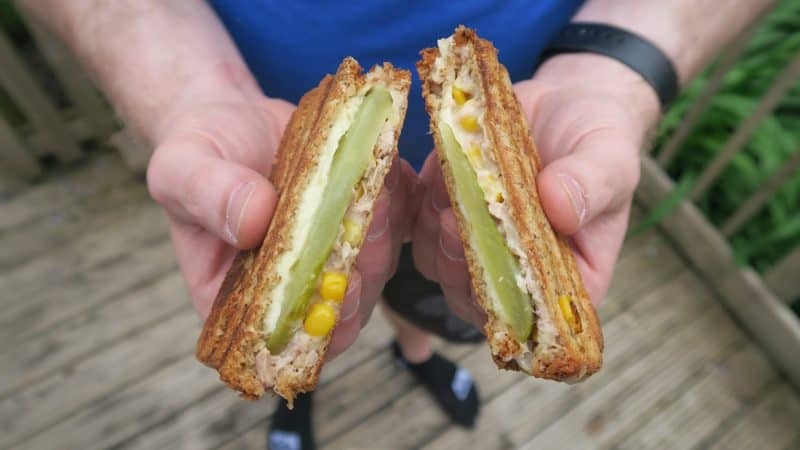 This is an absolute classic – tuna and sweetcorn mayo, stringy melted mozzarella and a twist with a few sneaky spiced gherkins added. It’s a brilliant combination! 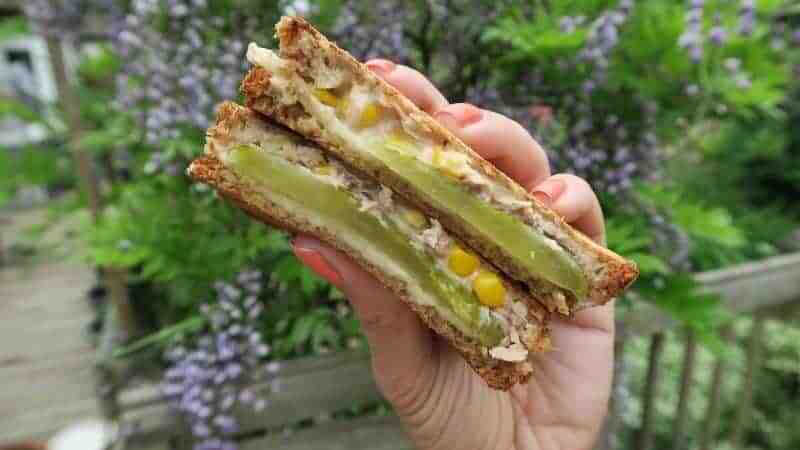 An absolute classic - tuna and sweetcorn mayo and mozzarella with some cheeky spiced gherkins, between Juvela gluten free fibre bread. 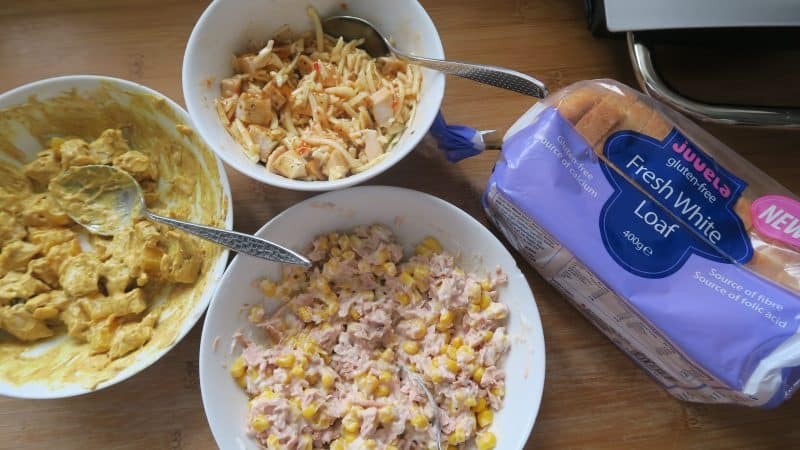 Drain the tuna and add to a bowl with the sweetcorn and mayonnaise. Season with salt and pepper if needed and mix well. Add the tuna to one slice of the bread, followed by 3 slices of gherkin and top with the mozzarella cheese. Place the second slice on top of each sandwich. Toast in a grill/panini machine for a couple of minutes until the cheese starts to melt and then serve straight away. So there you have it, three of my favourite classic sandwich fillings, perfectly matched with Juvela’s gluten free bread! I’d love to know what your favourite sandwich fillings are – share yours in the comments below so I can try them out! Make sure you try out the Juvela bread as well because it is one of my absolute favourites! And if you do, why not try out my gluten free French toast recipe using their bread as well – it’s the dreamiest gluten free brunch ever! Yum, tuna melts! Haven’t had one in ages. My latest favorite gf sandwich is turkey, avocado, tomato, and lettuce. There is a restaurant here that has the best thick, hard crusted gf bread and they make a killer one. OMG this sandwich looks sooo yummy!